Rajasthan is internationally renowned for its royal forts and palaces which present the gorgeous history of the Rajput Clans of India.There are number of forts in Rajasthan but very few of them are nominated as Heirtage Site by UNESCO and this forts are known as the Hill Forts of Rajasthan. 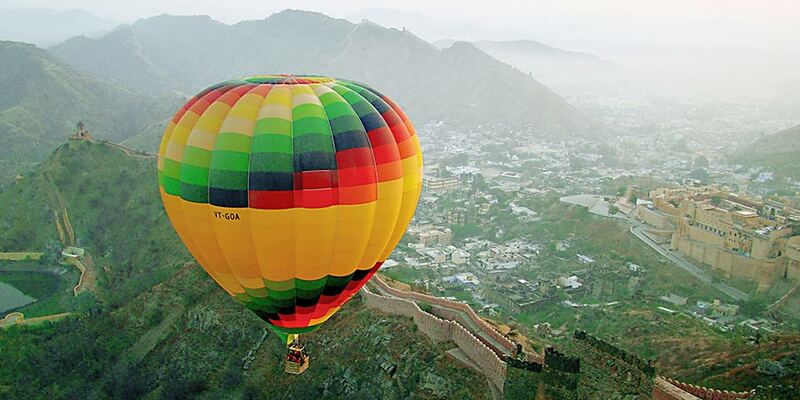 These hill forts of Rajasthan attract millions of tourists every year. All these forts have a rich historical background and their architecutre is just phenomenal which makes them a great heritage property of the state and India. Below are the famous hill forts of Rajasthan. 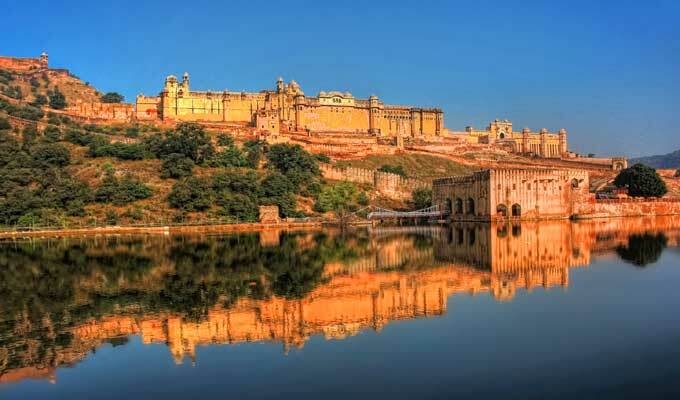 Amer or Amber Fort in Jaipur is the epitome of the entire state of Rajasthan which is a grand hill fort located on the hill top of Aravalli Ranges in Jaipur. The fort of Amer is located in the beautiful locations of Jaipur and is one of the most prominent attractions of Jaipur. This is an extraordinary structure and defined by its enormous ramparts and sequence of gates. The fort overlooks the Maota Lake. 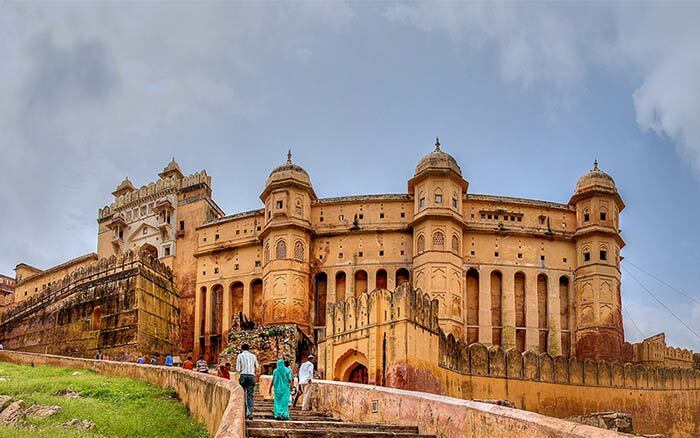 Amer Fort is a construction done in red sandstone and marble with four different floors. The huge courtyard reminds the golden era of the history and classified by many areas such as Diwan-E-Aam, Diwan-E Khaas, Sheesh Mahal, Sukh Niwas Palace and many other sections. The fort is also called as Amer palace and used to be the luxurious residence of the Rajput Maharajas of Rajasthan. This fort was declared a UNESCO World Heritage Site and one of the major Hill Forts of Rajasthan. Jaisalmer Fort is one of the largest hill forts of Rajasthan and also one of the most preserved and equipped one. It is located in the beautiful city of Jaisalmer with a status of UNESCO World Heritage Site amongst the groups of hill forts of Rajasthan. The construction of the fort is done in yellow sandstone that shines with a mesmerizing golden color. This fort stands hugely on the sandy grounds of the great Thar Desert and nestled high on the Trikuta Hill. Jaisalmer fort used to be a prominent structure and served as a destination for caravans and travelers who passed through the Silk Road. Its battlements worked as the background for many battles in the glorious Rajput history when the Silk Road used to be as one of the prime trade paths between East and West. Chittorgarh Fort is known for its enormous size as it is the largest hill fort in Rajasthan and also remembered for its glorious historical battles and for its sieges that happened from the various attacks made by the Muslim rulers. It is prominently known for the sacrifices of Queen Padmini who sacrificed her life for the sake of saving her modesty from Allauddin Khilji. This fort is also stated as a UNESCO World Heritage Site and used to be the capital seat of Mewar. It is located beside the Berach River and had housed many martyrs of Rajasthan. The fort premises have several historical palaces, temples, gates, with two prominent memorial towers. 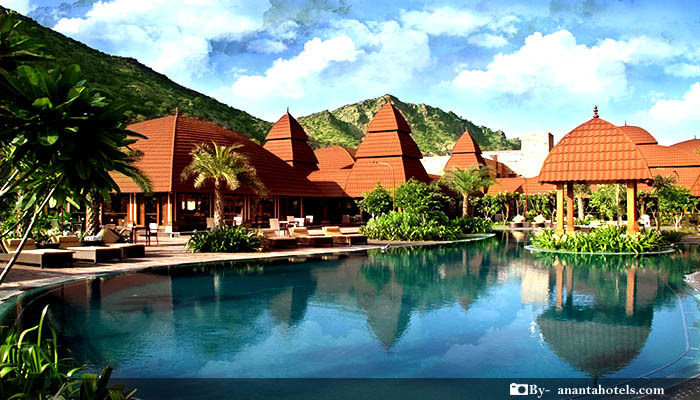 It is located on the mighty Aravalli Ranges and said to be built by the local Maurya Kings. It consists of seven gates which are known as ‘’Pols’’ and this spacious mansion is located on an isolated rocky plateau with many temples inside that dated back to the 8th century. Ranthambore Fort is located within the premises of the Ranthambore National Park near the town of Sawai Madhopur. The national park used to be the former hunting grounds of the Maharajas of Jaipur until the time of the Independence of India. This structure has been stated as a UNESCO World Heritage Site. The existence of this fort was believed to be since 944 AD by a Chauhan ruler. But according to some other records, it was believed to be built in 1110 CE. The fort is also having many temples inside its premises which are dedicated to Hindu Lords- Lord Ganesha, Lord Shiva and Rama which are constructed in red Karauli stone in 12th and 13th centuries. There is also a Jain temple seen inside the premises of the fort which is dedicated to Lord Sumatinath who was 5th Jain Tirthankar and Lord Sambhavanath. Kumbhalgarh Fort is a gigantic hill fort located high on the Aravalli Ranges and having the same designation of the UNESCO World Heritage Site. With a rich historical significance, it was built during the reign of Rana Kumbha in the 15th century and was believed to the birthplace of Maharana Pratap. This massive structure was occupied until the 19th century and it has opened for the public visits at present that became a great tourist attraction in Udaipur. It is having the second largest wall in the world after the Great Wall of China and the second largest hill fort in Rajasthan after Chittorgarh Fort. Located on the west of the Aravalli Ranges the Kumbhalgarh fort is having huge walls and houses more than 300 temples. The Government of Rajasthan organizes a three-day festival celebrating the ancient culture and its significance on its huge size which is compared to one of the wonders of the world-The Great Wall of China. The fort of Gagron is also counted amongst the hill fort of Rajasthan and located on the river the unique hill fort of Rajasthan which is nestled on a river can be seen surrounded by water on all its sides. This structure is also known for its sacrifice acts made by the Rajput ladies to protect their dignity from the Muslim invaders who attacked the fort many times and the Rajput people fought for their motherland. The uniqueness of the fort is that it is located higher on a hillock but surrounded the water all around.